If people ask me what is a yoga teacher training, I say: A yoga teacher training in India is a irreplacable investment into your soul. It’s an amazing education which provides you with the knowledge to understand yourself, calm your mind and live a happier and healthy life. I recently completed my yoga teacher training in India at Gyan Yog Breath and had the time of my life. Not only has this training changed my physique, it has also helped me gain clarity, passion and acceptance. Today I want to share with you my reasons why you should join a yoga teacher training in India as well. Nowadays, everyone seems to be stressed and exhausted in this fast-paced modern world. It’s great to see how far we have developed in terms of economy, technology and so on. Yet, we seem to miss the point when it comes to our own well-being, relaxation and both mental and physical health. I come from a background, where I used to work 70 hour weeks, have night shifts, skip meals and feel constant anxiety, pressure and stress. Beginning to practise yoga weekly at least has helped me to incorporate a little more calmness into my busy schedule. However the efficiency struggle was still real. I did some research about yoga and read a few studies which prove that yoga does indeed improve ones health and can help to reduce the stress level extremely. 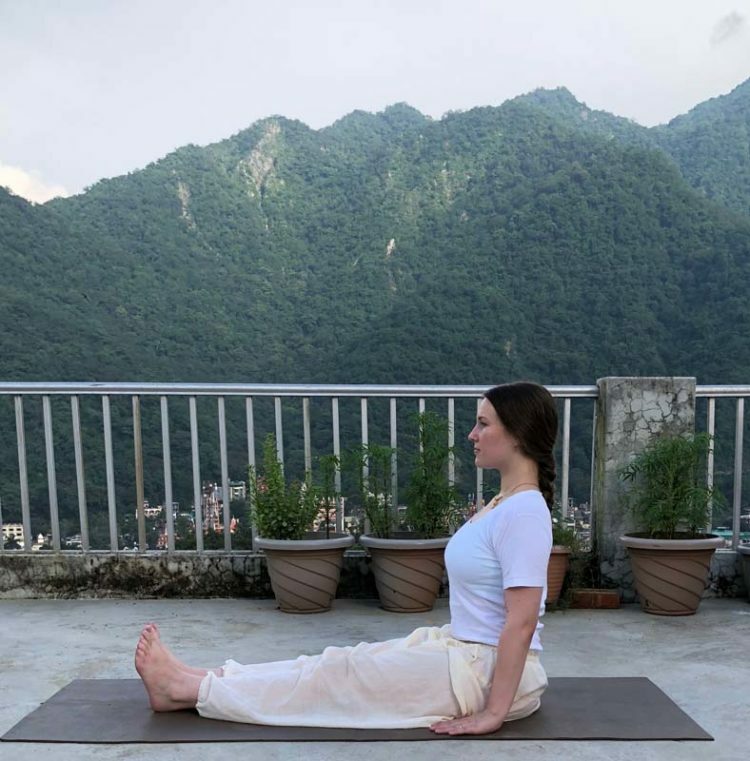 I decided to take a month of work and immerse myself into traditional yoga in its birthplace: Rishikesh. I chose Gyan Yog Breath for my yoga teacher training in India because it just felt right and the community feeling seemed to be very welcoming and positive. Well selected asana sequences, pranayama techniques, modifications and insights about ayurveda, diet and food combinations helped me to remove negative though patterns, set new goals and connect to myself on a deeper level. It’s true when I say that I feel transformed. Previously my main focus points were to work harder, squeeze more appointments into 24 hours and do anything to be more efficient. I learnt how to slow down internally and focus on my breath. It’s such a relief and it makes me smile because I just feel more at peace with myself and everyone around me. 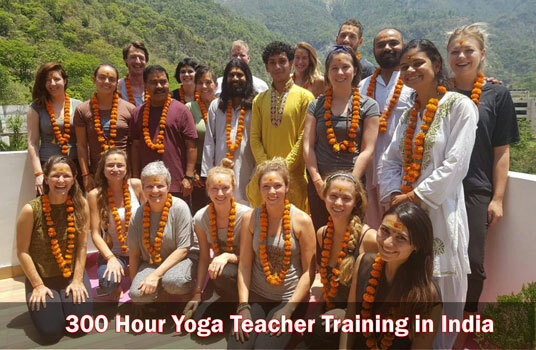 Learn from the most authentic teachers in the country of yoga. Another reason why I would encourage anyone around me to do a yoga teacher training in India is because yoga originates from India. It’s the most authentic place for yoga and spirituality and of course has amazing teachers (gurus) who have literally lived the yogic lifestyle for their whole life. Surely, there are really great teachers in the West as well, but I wanted to learn directly from the source. During my yoga teacher training in India I had incredible teachers who pushed me and challenged me every day. My days were over at 9PM and I slept like a child which I haven’t done in years previously. While my yoga classes in Vienna were mostly focused on exercise, I learnt that yoga is much more than that in India. It’s a lifestyle, it’s about food, it’s about what you live every moment. We learnt about “Chitti Vritti Nirodah” which is Sanskrit and means controlling the fluctuations of the mind. It’s a very important quote from the Patanjali Yog Sutras. Now when I think back about my yoga teacher training, I feel so much gratitude for all the wonderful things that I’ve learnt. Especially Rishikesh, the yoga capital of the world, is full of yogis, monks, sadhus which makes it super positive and shanti (peaceful). Practising 12 hours of yoga every day and eating vegan ashram food for 25 days, does have a huge effect on your physique. While loosing some extra weight, I got rid of my acne (I had it since my puberty) and skin rashes as well. Back at home, I was diagnosed with gluten-intolerance, however now I can eat gluten without a problem. During my yoga teacher training in India we did Shatkarma which are six actions to reduce toxins, mucous and clear the energy channels. Especially the stomach cleaning techniques really worked on me! I became a much happier person and content with who I am. I kind of learnt to take out the seriousness and see life as a gift that is unpredictable. I learnt to accept myself a lot more which is something that I always wanted. If you are thinking to do a yoga teacher training, you shouldn’t think twice! 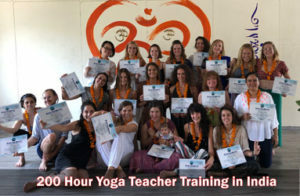 I would highly recommend you to commit to a yoga teacher training in India because it’s simply an amazing and unique experience that will change you to the best version of the beautiful version that you are already! COMMENT LA PRATIQUE DU YOGA PEUT-IL VOUS AIDER A GERER VOTRE STRESS ? The word yoga comes from the Sanskrit word „yuj“ and can be translated into „to join“.It describes, on a practical level, the union of body, mind and soul and, on a spiritual level,the union of individual and universal consciousness. The union on the practical level musttake place before a union on a higher, spiritual level can be achieved. This implies that peoplewho would like to achieve a union with a higher reality first have to incorporate the practiceof shatkarma, pranayama, bandha, mudra, asana and meditation into their lives.